Youpreneur.com - How to Build, Market and Monetize Your Personal Brand! One of the biggest strengths required for any Youpreneur – anyone building the business around themselves – is drive and determination. You ARE the business, so you need to work hard and achieve goals to ensure your success. However, this same strength can also be a weakness. How many of us work incredibly hard, achieve our goals and then… get straight back to work? I know I do! As soon as I’ve achieved something, I don’t stop to give myself a pat on the back. I don’t reward myself. I don’t celebrate. I simply state “job done!” and move on to the next goal on my list. This is an admirable trait, but it’s also counter-productive. Much as we’d like to be, Youpreneurs are not emotionless robots who can work indefinitely! We need to stop and celebrate our small wins. Doing so reminds us why we’re working for ourselves. It keeps our energy levels up — especially when we’re having a bad day in the future, and that voice inside our heads is saying “You’ll NEVER succeed”. It gives us the confidence and encouragement to go on and crush that next task. So, how can you integrate a little bit of celebration time into your day-to-day life as a Youpreneuer? That’s where recording your successes comes in. I record my successes so I can pause and enjoy the moment without rushing on to the next thing. I also record my successes so that I can refer back to them in the future – often. This definitely helps me when I’m feeling a little low or unenthusiastic. It reminds me of how well I’m actually doing – not just how I’m feeling in the moment! 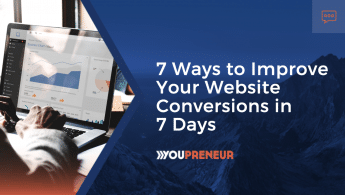 With that in mind, here are two small ways you can start recording your successes to help you maintain your momentum as a Youpreneuer. One area of success that is often overlooked by Youpreneurs is the humble compliment. How many times have you been complimented this month? Probably a lot more than you realise! The trouble is, we receive a compliment, smile and say “Thanks!” and then move on. Compare that to how we deal with the opposite comment – complaints. When we receive a complaint or criticism from someone, we dwell on it. We ruminate. We work hard to address it. In fact, if you’re anything like me, you can receive a dozen compliments in a day, and one criticism, and at the end of the day, instead of taking pride in the compliments, you focus on thinking about the criticism. What’s up with that?! Time to celebrate those compliments and refer back to them whenever you need a reminder of how awesome you are! 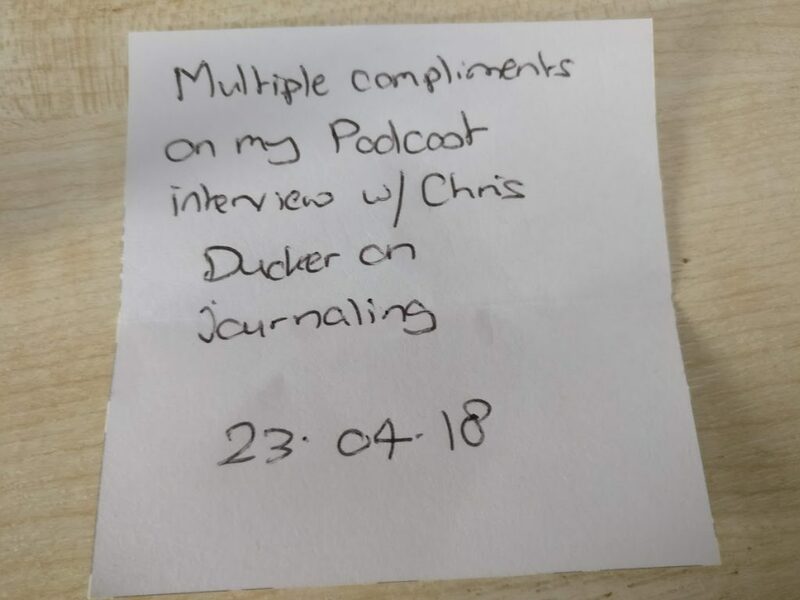 At the end of every day, before you close down your laptop, before you step away from the work desk, why not take 3 mins to write down any compliments you received that day? This process alone is valuable as a closing-down exercise at the end of each day – enabling you to finish the day on a strong note. But by writing down your compliments, you can also refer back to them the next time you’re feeling low. I also do this for compliments I receive on social platforms. I use a plug-in for my WordPress website that enables me to capture any compliments I receive via Twitter for future reference. I simply favourite (or star) the Tweet, and it’s then displayed on my website under “Nice things people say”. This is a great reminder for me and demonstrates to any visitors to my website the good work I’m doing! In the same way, as we overlook compliments in favour of criticisms, we can often overlook our many victories on a day-to-day basis. I’ve written before about why I believe perseverance and consistency = success. But both perseverance (keeping going when you don’t feel like it) and consistency (doing the same thing to a high standard, again and again) are not infinite resources. You need to replenish them. 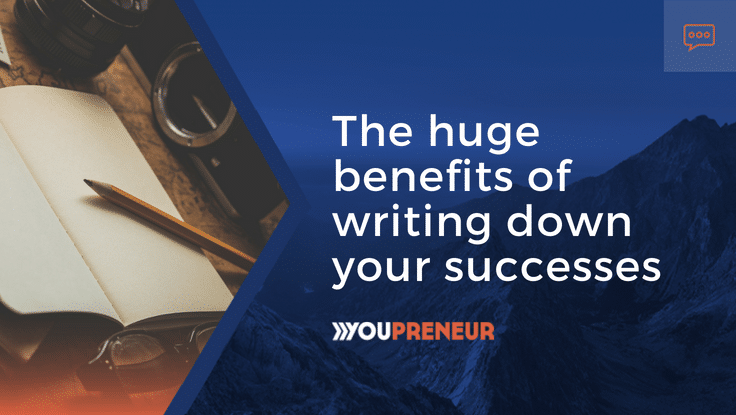 Yesterday, you won the biggest client contract in your Youpreneur business career. Today, you got out of the wrong side of the bed and are wondering why you do this. I certainly found so. Which is why now, as I write this, I can see my jar of awesome staring back at me. 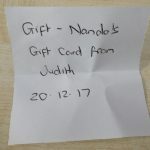 Sorry, Richard – your jar of what? 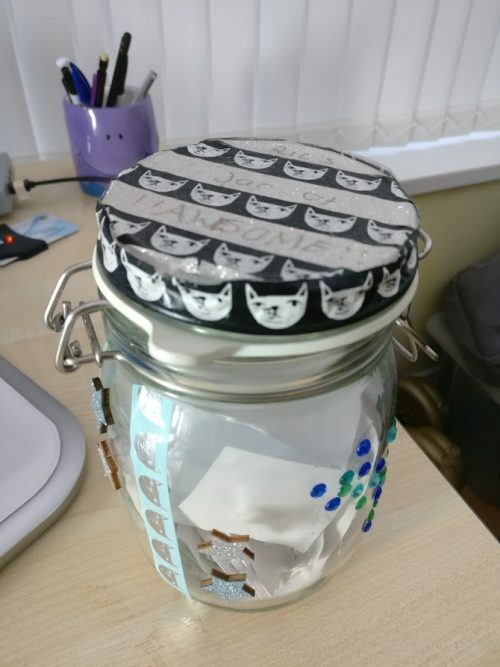 It’s an old glass jar that my wife and step-kids decorated for me. It contains small post-it note sized pieces of paper with my victories written on it. … anything that is awesome, really! Here are some actual notes I pulled out of my jar of awesome while writing this article. 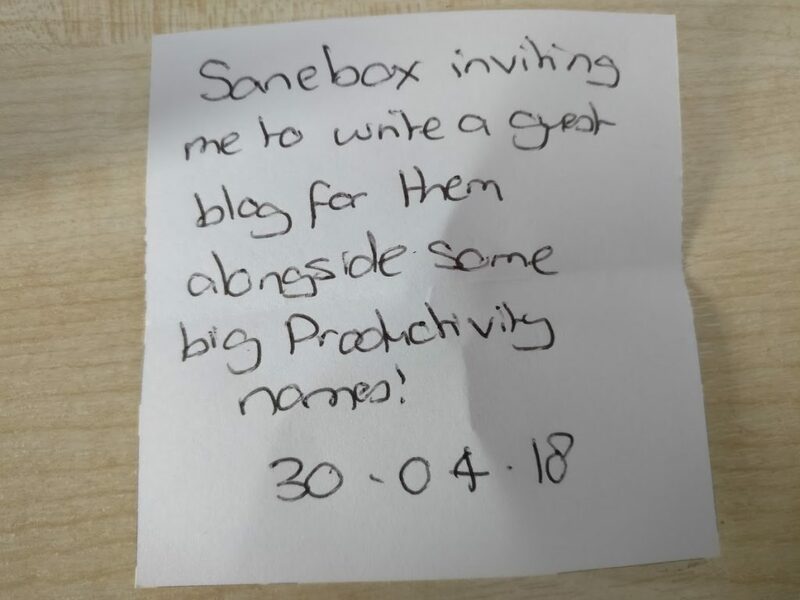 As with writing down compliments (which could easily go into your own jar of awesome! ), the goal here is to stop, make the time to slow down and savour the success, and then visibly be reminded of them – often. When I’m feeling low, discouraged or feel like giving up, I go to my jar of awesome and pull out some random pieces of paper. They remind me of just a handful of the awesome things I’ve achieved on my Youpreneur journey to-date. This often is all the encouragement I need to move on to the next win! As Youpreneurs, we’re driven and goal orientated. This is an admirable trait. It’s what enables us to succeed where others wouldn’t. But if we don’t stop to celebrate our victories as they happen, then there’s a danger we can get burned out or feel like we’re running on a treadmill. 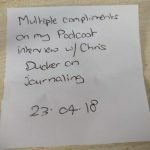 I spoke to Chris Ducker on the Youprenuer FM Podcast on How to Journal for Business Growth but even if you’re not ready to start full-blown journaling, I’d encourage you to start writing your successes down today. By stopping to savor the wins – even the small ones – and writing them down, we can train our brains to appreciate the success we’re achieving. Writing down of successes also enables us to easily revisit those successes, even if (especially if!) we’re feeling low, unenthusiastic or discouraged. Take 5 minutes to pause and write down some of the successes you’ve achieved this week. I’m willing to bet you’ve got more than you realize! What Are the Benefits of Personal Branding – Why Bother? Richard is one of the best-known experts within the Small Business IT community worldwide. 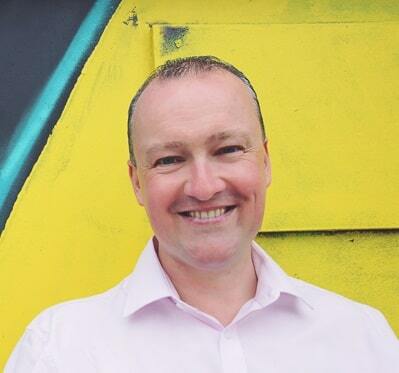 He launched and sold his own IT business before creating a leading IT media and consultancy practice. Richard helps IT business owner’s take back control by freeing up their time and building a business that can run without them. He’s the author of the book “The IT Business Owner’s Survival Guide”. Download our Personal Branding Roadmap guide, to kickstart the growth of your personal brand business! "What I LOVE about Chris is his real talk and 'No BS' business advice. His bricks and mortar background adds a tangible grit to the real life advice and action steps he gives. With Chris, I am learning to build more than a brand or course, I am building a rock solid business." Since joining Youpreneur, I have quit my corporate job. I’m now renting office space because I actually outgrew my office at my house. I am moving into a house that I’m able to fund fully in cash and I am making an impact in my chosen industry on my terms. That is priceless. The Youpreneur Community has filled a huge gap for me in my business life. It is my virtual corridor down to the coffee machine where I bounce ideas off like-minded people, who are having the same business experiences as I am. It’s been instrumental in the success of my personal brand business. The support, the growth, the mantra of ‘no one left behind’, that has really accelerated the growth of my business. So much so, that I’ve been able to buy a house and raise a family, all while being a freelancer in New York. It’s not an easy task to do, but the support of my Youpreneurs has been great. 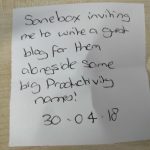 I felt like I was in a very lonely place at the start of my business journey. Then I joined Youpreneur and everything changed. I really don’t think that my business would be where it is today, if I hadn’t of joined the Youpreneur Community. Thank you for everything that you’ve done! 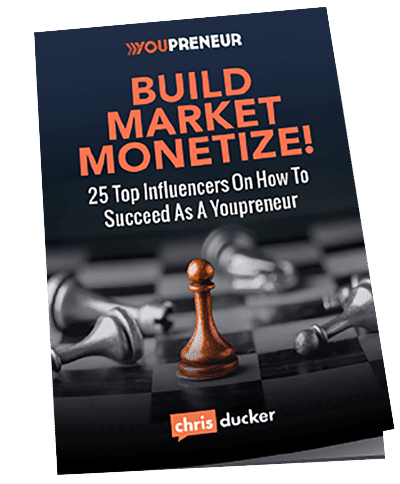 Being a member of the Youpreneur Community over the last year and a half has enabled me to launch my podcast, beta-launch a course and launch my e-book. It really has validated what it is that I’m trying to do, as I build my personal brand and the business around that. What I find in the Youpreneur Community that I don’t find in Facebook Groups is experienced business owners sharing their wisdom. It’s like having a massive mastermind group, plus you get to chat with Chris on the monthly mastermind calls. That is priceless! Please indicate why you are contacting Youpreneur. This privacy notice provides you with details of how we collect and process your personal data through your use of our site www.youpreneur.com, a trading portal of 4C Media Limited. 4C Media Limited is the data controller and we are responsible for your personal data (referred to as “we”, “us” or “our” in this privacy notice). Postal address: 4C Media Limited, Milton Hall, Ely Rd, Milton, Cambridge, CB24 6WZ, United Kingdom. It is very important that the information we hold about you is accurate and up to date. Please let us know if at any time your personal information changes by emailing us at support@youpreneur.com. • Communication Data that includes any communication that you send to us whether that be through the contact form on our website, through email, text, social media messaging, social media posting or any other communication that you send us. We process this data for the purposes of communicating with you, for record keeping and for the establishment, pursuance or defense of legal claims. Our lawful ground for this processing is our legitimate interests which in this case are to reply to communications sent to us, to keep records and to establish, pursue or defend legal claims. • Customer Data that includes data relating to any purchases of goods and/or services such as your name, title, billing address, delivery address email address, phone number, contact details, purchase details, and your card details. We process this data to supply the goods and/or services you have purchased and to keep records of such transactions. Our lawful ground for this processing is the performance of a contract between you and us and/or taking steps at your request to enter into such a contract. • User Data that includes data about how you use our website and any online services together with any data that you post for publication on our website or through other online services. We process this data to operate our website and ensure relevant content is provided to you, to ensure the security of our website, to maintain back-ups of our website and/or databases and to enable publication and administration of our website, other online services, and business. Our lawful ground for this processing is our legitimate interests which in this case are to enable us to properly administer our website and our business. • Technical Data that includes data about your use of our website and online services such as your IP address, your login data, details about your browser, length of visit to pages on our website, page views and navigation paths, details about the number of times you use our website, time zone settings and other technology on the devices you use to access our website. The source of this data is from our analytics tracking system. We process this data to analyze your use of our website and other online services, to administer and protect our business and website, to deliver relevant website content and advertisements to you and to understand the effectiveness of our advertising. Our lawful ground for this processing is our legitimate interests which in this case are to enable us to properly administer our website and our business and to grow our business and to decide our marketing strategy. • Marketing Data that includes data about your preferences in receiving marketing from us and our third parties and your communication preferences. 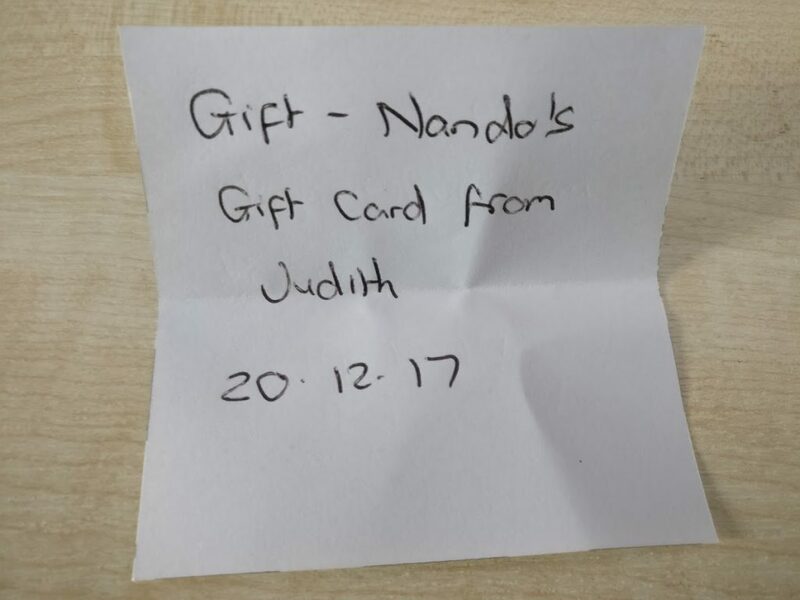 We process this data to enable you to partake in our promotions such as competitions, prize draws and free giveaways, to deliver relevant website content and advertisements to you and measure or understand the effectiveness of this advertising. Our lawful ground for this processing is our legitimate interests which in this case are to study how customers use our products/services, to develop them, to grow our business and to decide our marketing strategy. We may use Customer Data, User Data, Technical Data, and Marketing Data to deliver relevant website content and advertisements to you (including Facebook adverts or other display advertisements) and to measure or understand the effectiveness of the advertising we serve you. Our lawful ground for this processing is legitimate interests which are to grow our business. 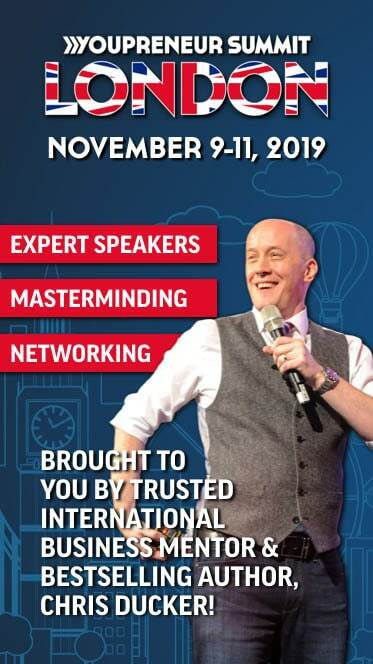 We may also use such data to send other marketing communications to you about relevant products and services, such as online courses; books; live broadcast training such as webinars; live events and conferences; coaching and mentoring services. Our lawful ground for this processing is either consent or legitimate interests (namely to grow our business). We will only use your personal data for a purpose it was collected for or a reasonably compatible purpose if necessary. For more information on this please email us at support@youpreneur.com. In case we need to use your details for an unrelated new purpose we will let you know and explain the legal grounds for processing. 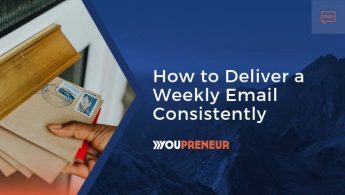 You can ask us or third parties to stop sending you marketing messages at any time by following the opt-out links on any marketing message sent to you OR by emailing us at support@youpreneur.com at any time. If you wish to exercise any of the rights set out above, please email us at support@youpreneur.com. Learn how to MARKET the Business of YOU! Charge what you’re WORTH… and More!